The family of Stanley Ho has denied reports that the Macau casino patriarch is seriously ill.
Stanley Ho is known as the King of Gambling in Macau, having held the monopoly on casinos in the enclave for 40 years. His daughters Pansy (left inset) and Daisy (right inset) appear to be gaining the upper hand in the family feud over his assets. According to the South China Morning Post, Ho’s third wife Ina Chan Un Chan, and daughter Laurinda Ho Chiu-lin, told press outside Hong Kong Sanatorium & Hospital in Happy Valley — where Ho resides on a day-to-day basis — that the 97-year-old tycoon was “just resting” in the hospital and could eat and talk with family members. “He is in good shape. I don’t know why there were such rumors,” Chan said, referring to reports a day earlier that Ho had been admitted to intensive care with multiple organ failure. On Friday, several Hong Kong- and Macau-based news outlets reported the billionaire had been rushed into the emergency room of the private hospital, citing “sources.” Later several members of Ho’s often-feuding family were seen entering the hospital. The sources claimed doctors had asked them not to leave, such was the seriousness of Ho’s condition. The patriarch’s increasing frailty in recent years has reportedly led to in-fighting among the family as they vie for control of his vast, sprawling business empire. Ho has 17 children from four concurrent wives (or “consorts”), which meant the transition of power was never likely to be a smooth one. Ho held the gambling monopoly in Macau for 40 years, until the former Portuguese colony on the southern tip of mainland China opened itself up to the free market in 2002. Through subsidiary STDM, Ho’s SJM Holdings still owns and operates 21 gaming facilities in Macau, including the Grand Lisboa, as well as others elsewhere in the region — and even one in North Korea. Another company, Shun Tak Holdings (STH), operates shipping and hospitality and invests in real-estate. Despite his health problems, Ho stepped down as chairman of SJM only last year, and of STH the year before. Two of his daughters, full-sisters Pansy Ho and Daisy Ho, have filled his shoes at STH and SJM, respectively. In 2007, Pansy launched the MGM Macau, a joint venture with Kirk Kerkorian’s MGM Mirage, which became MGM Resorts. The partnership caused a considerable headache for MGM with regulators back home in the US, due to Pansy and her father’s alleged ties to the Triads, which both have denied. 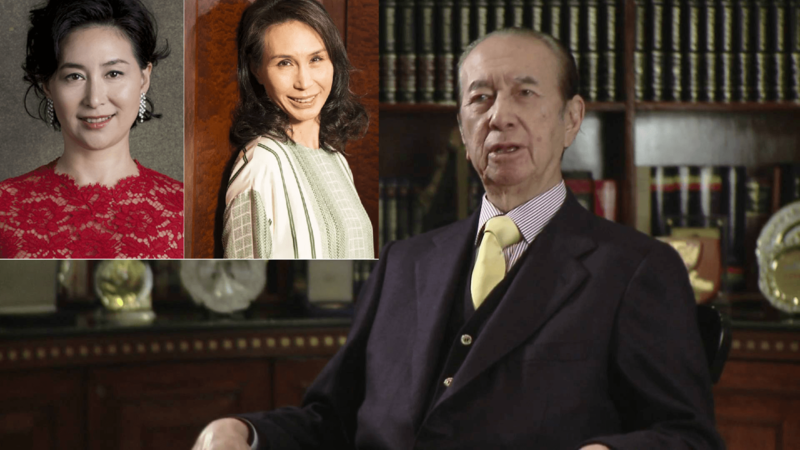 Pansy and Daisy’s full brother, Lawrence Ho, is the chairman and CEO of Melco International, a Macau casino giant otherwise unconnected to his father’s empire. Pansy and Daisy recently engineered a deal with the Fok Foundation that may help them gain control of the casino business, STDM, from Ho’s fourth “wife,” Angela Leong. STDM was formed in 1962 by Ho and the late Henry Fok, who founded the Fok Foundation to hold his shares in the company before his death in 2006. The new alliance collectively holds a controlling 53 percent of the company, tipping the balance of power in favor of the Ho sisters. The post Stanley Ho Family Quashes Reports 97-Year-Old Macau Billionaire Seriously ill in Intensive Care appeared first on Casino.org.